I've been on a fun little mission of conjuring up some delightful tilapia recipes lately. Most of these tilapia dishes that I've been cooking have been quite simple, quick and easy to prepare and cook. The recipes that I often put together for my fish dishes already taste great. But, I really enjoy experimenting in the kitchen with new flavors. Some bold, while others are simply subtle, yet just the right touch for hitting the spot. Coming up with new twists for exciting tilapia recipes brings no exception to the many wonderful meals that my family and friends have come to love so much. 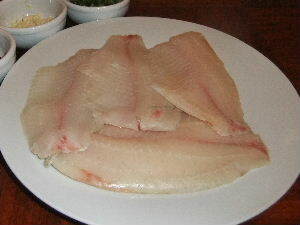 I've prepared tilapia in an assortment of ways, such as pan fried, pan seared, roasted, and smoked on the barbecue grill. Although I've given away some of the simpler recipes for the tilapia fish dishes that I have cooked, there are some that I've kept for myself, which I'm sure that I will eventually reveal sooner or later. 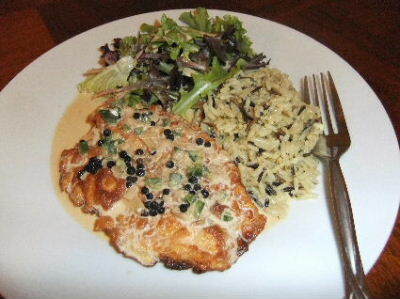 The following is just one of those delicious tasting tilapia recipes that I wish to share with you now. Enjoy! Step 1: Quickly rinse the fish fillets and pat dry with a paper towel. Lightly season with a dash each of salt fresh ground black pepper. Step 2: Preheat about a 1/4 inch of cooking oil in a frying pan, wok or skillet over medium high heat. Step 3: In a small shallow bowl, whisk or beat the egg together with the milk. Add about a cup of all-purpose flour to a separate shallow container or in a plastic zip loc bag. Step 4: Dip each tilapia fillet into the milk and egg mixture. Then dredge each fillet in the flour to coat entirely. Shake off the excess flour and add each fillet to the heated pan, preferably one at a time or without overcrowding the pan. Step 5: Allow the tilapia fillets to cook for about 2 to 3 minutes on each side until they are a nice beautiful golden brown, or until done by testing with a fork for flakiness. Serve immediately while it's still hot with your favorite choice of sides, garnishments and sauces. It may be best to prepare the ingredients for this sauce ahead of time before you actually begin cooking the tilapia. Step 1: Finely chop or mince the shallots, garlic and jalapeño. I cored and seeded the jalapeño for this sauce, but you can keep and use the seeds if you would like. 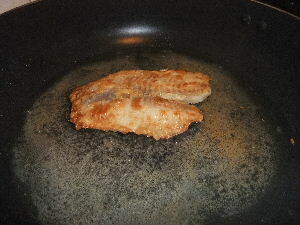 Step 2: In a medium skillet or a sauce pan, heat a tablespoon of butter over medium heat until butter turns brown. Add the shallots and garlic, and cook them just until they caramelize while stirring occasionally. Step 3: Add the rest of the ingredients - jalapeño, peppercorns, stock, whipping cream, dijon mustard(optional), dash of salt to taste - and bring to a boil while stirring occasionally. Allow it to cook until the peppercorns begin to crack open, which releases their flavor into the sauce. Turn down the heat to keep warm until you're ready to serve. As soon as the tilapia fish are finished cooking and plated, simply spoon sauce over fillets and enjoy your feast! Tip: Want the sauce spicier? You can substitute the jalapeño for a hotter chile pepper such as a serano or a habanero. Or you can add a dash of cajun pepper seasonings. My inspiration for cooking and eating tilapia actually came to me quite a few years ago. My wife and I went to one of our favorite local restaurants to enjoy a well deserved relaxing sit down meal. 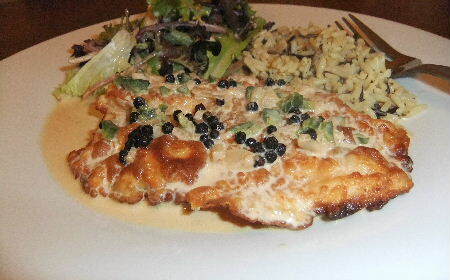 Rather than ordering a big juicy steak as I have on many occasions, I requested their "Firecracker Tilapia" instead. My wife looked at me with a little surprise smirk as she sipped her margarita with salt all around the rim. I usually don't order fish too often from high end establishments, and we both know that. I'm not sure why not. Perhaps because my eyes always seem to be bigger than my stomach when staring at a menu, even though I know that fish is light and healthy. The waitress arrived with our food and placed it down on the table. I was immediately engulfed by the sensational aromatics that filled the plate. I dug in with my fork and took a bite. I was amazed at how light, flaky and moist the meat of the tilapia fish was. 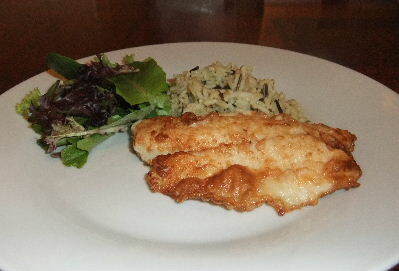 The tilapia fillet was cooked to perfection - crisp golden brown on the outside and tender on the inside. And the special spicy sauce was a perfect compliment to the fish dish. That was the very moment that I knew I had to create my own homemade tilapia recipes. I'm not sure of the exact ingredients of that restaurant fish dish, but I plan to go back again to try to figure it out. In the meantime, I will be having a blast cooking tilapia like the recipe above, or other fresh fish in my own kitchen with my own unique twist of cool and extravagant flavors. But for now, best of luck freshwater fishing and cheers to a eating a wonderful fish dish!